The developing world faces many significant social and economic challenges. These include tackling poverty and disease, reducing crime, and creating the infrastructure and security needed to foster economic prosperity and create jobs. Governments around the world currently provide some $135 billion in international aid. But this is not enough. Many parts of the world also rely on the goodwill and financial support of charitable organizations and private individuals. Two other types of international giving are significant: international philanthropy; and money sent home by migrant workers as remittances. All together government aid, philanthropy and remittances add up to a staggering $350 billion a year. Yet, at present, these huge sums of money are underutilized; they are wasted or fall far short of their potential maximum impact. The giving world offers a distinctive and powerful perspective on how governments can manage these funds to maximize social good. Current trends and best practice in leveraging these flows to produce the maximum social benefit. The giving world provides original and inspirational insights into some of the most important issues facing the governments of the world. It contains a number of highly distinctive features – mapping the latest trends, providing a holistic comprehensive view of the issues, being useful for both readers who require a broad overview as well as those who want deeper detail. It taps into demand for more insight into a topic of growing importance. How can government facilitate the best use of these three forms of finance? 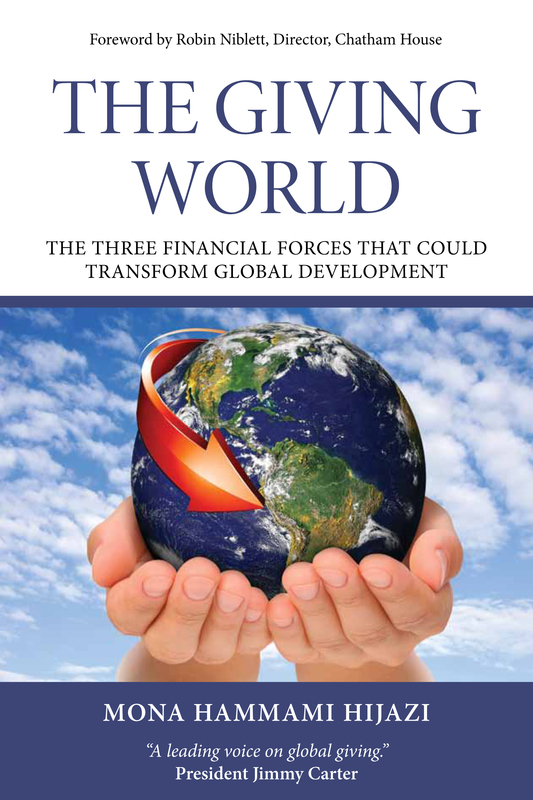 The giving world offers a distinctive voice and clear value to readers. The pay-off is a better use of resources to solve some of the most challenging problems society faces. Governments need a shift in focus. The potential impact of these funds is huge. Fully understood, with a coordinated policy to maximize their effectiveness, they represent a powerful resource to drive change for social and economic good. As globalization gathers pace, there is a pressing need to create a coherent and effective approach to managing these three financial streams and capturing all the benefits they offer. In The giving world Mona Hammami provides a unique blueprint for how governments and policymakers can play an essential role in helping these funds, public and private, be used to full effect.